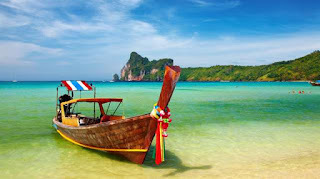 Along with cheap prices and the ability to blend in with other "farangs" - foreigners, Phuket has much to offer. Night is painted with flashing neon in Phuket. This is a party place - an escape of the everyday. But it is also a haven for criminals. The list is long ... fraudsters, murderers, pedophiles, fugitives on the run, many call Phuket home. Widespread corruption and slow computerization of government records has long made Thailand a safe haven from the long arm of the law. 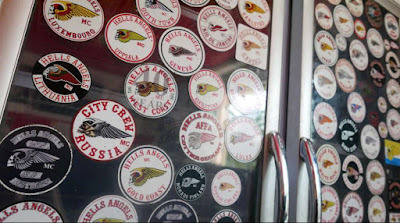 The Hells Angels clubhouse overlooks Patong beach. 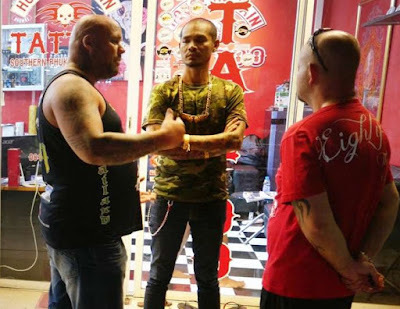 No photo, no name, says the president of the Hells Angels Nomads as he stretches out his thick tattooed fist. The bikers keep a relatively low profile and need to keep the peace as the largest and strongest gang is always the Thai police. That all changed with the murder of high ranking member and wholesale drug trafficker Wayne Schneider, who was found naked with a broken neck, two meters underground. "We build playgrounds for orphans" says 'Dennis' when asked if the Hells Angels receive money through trafficking, drugs, weapons, prostitution or extortion. Dennis says the Hells Angels are not a criminal gang, but a charity of nice guys who happen to like motorcycles and have fun. 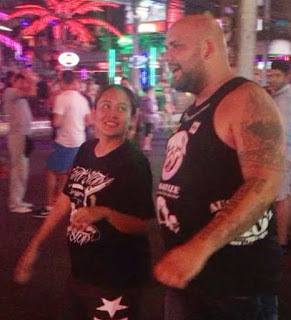 In Phuket the Hells Angels often wear flip flops and drive mopeds. Harleys are impractical for short trips through the narrow streets. 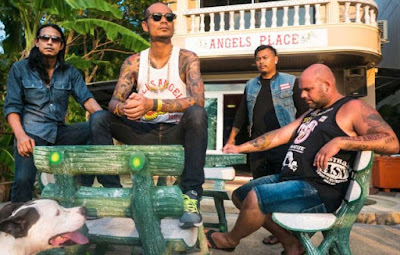 The Hells Angels Nomads have recently celebrated their 15th anniversary in Phuket. They like it here.